It's as busy as ever today in the warehouse, the orders are flowing in thick and fast, but you'll only really see the difference in our full up warehouse next week when lots of our Gift Baskets and Hampers are out for delivery. 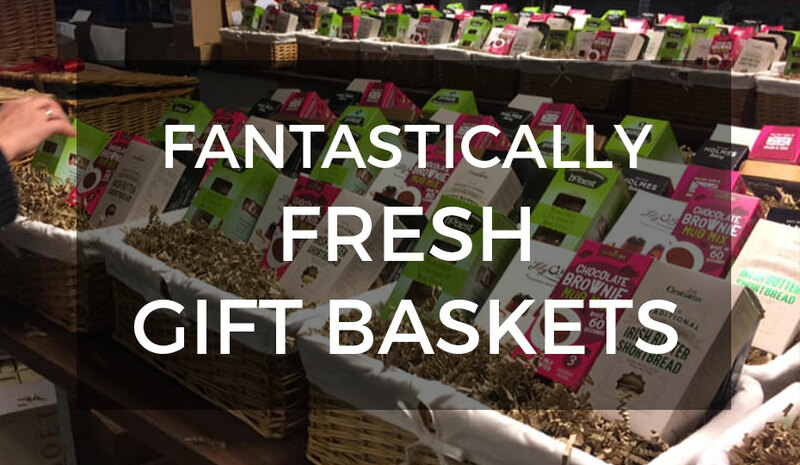 Pre-packing must continue on if we want to stay ahead of schedule, our warehouse staff painstakingly pack each Basket by hand and decorate them with festive Christmas ribbon to give them that WOW factor we're renowned for! The freshness of our gifts is something we take very seriously , whether the content includes fresh deli meats, fresh salmon and ham or freshly baked treats such as biscuits, cakes and mince pies, we like to make sure that you the customer get as long as shelf life as possible for each individual product, thats why we leave pre-packing until December so that's it's as close as possible to popular Christmas dispatch dates. The video above shows the process of pre-packing the Ancient Cork Gift Basket - an American inspired goodies basket is filled with muffins and cupcakes, as well as a host of cookies, biscuits and hot drinks for sharing. A great value, mid priced gift basket created with our customers in mind. With fresh bakes from local artisan producers it truly is luxury for a fraction of the cost in comparison to some of our competitors. Fabulous Gift Baskets like this are selling out fast right now so please place your orders as soon as possible!